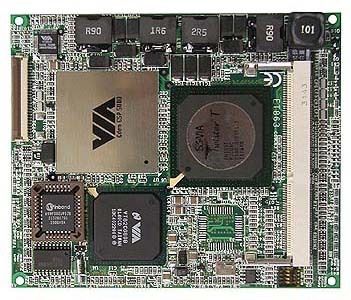 Based on the VIA ProSavage Twister (PN133T) and VT82C686A/B chipsets, the ET863i ETX CPU module comes integrated with Intel Mobile PIII or Celeron processors that require less power consumption in a fanless system. 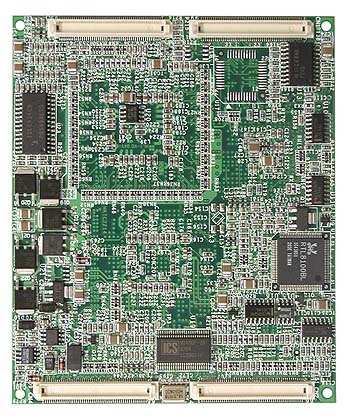 It supports rich 2D/3D graphics capabilities, 100MHz Front Side Bus and 100/133MHz SDRAM support. With its flexible plug on and compact Features:, it can be implemented on ATX, 5.25" / 3.5" Disk Size, and other form factors.